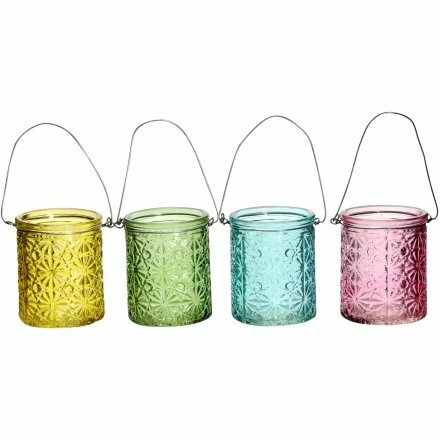 A mix of 4 colourful glass lanterns. Each has a wire handle to hang and a pretty floral design. 4 assorted designs, individually priced. Sold in multiples of 12.